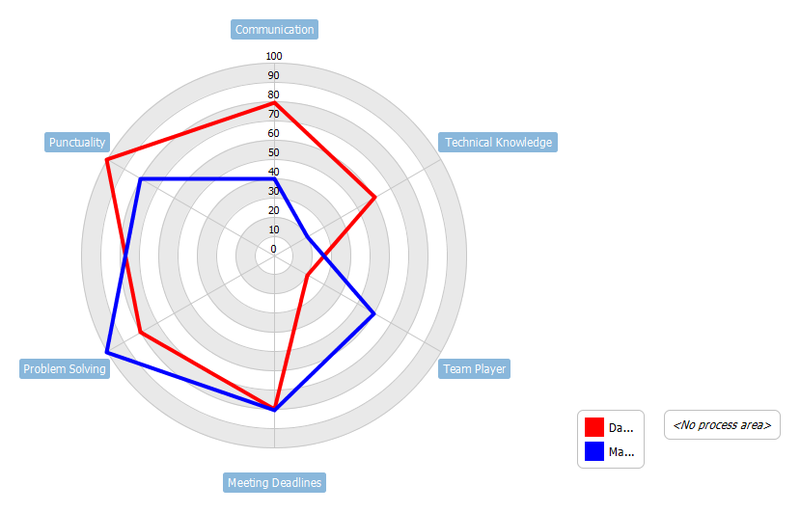 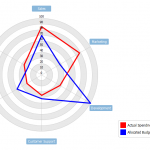 This is a radar chart example that shows how radar chart can be used for employee skill analysis. 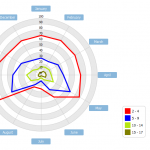 Where can Radar (Spider) charts be used? 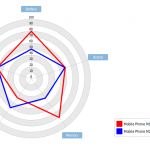 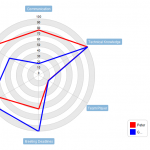 A Radar chart can come in handy during the appraisal and review process. 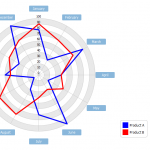 HR managers can visualize employee performance data, based on rankings given by their respective seniors, on a single chart. 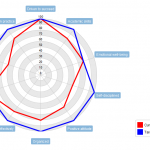 This chart can also be used to plan employee training by grouping employees who lack a particular skill set (low in rank) and then designing suitable remedial procedures for the group.